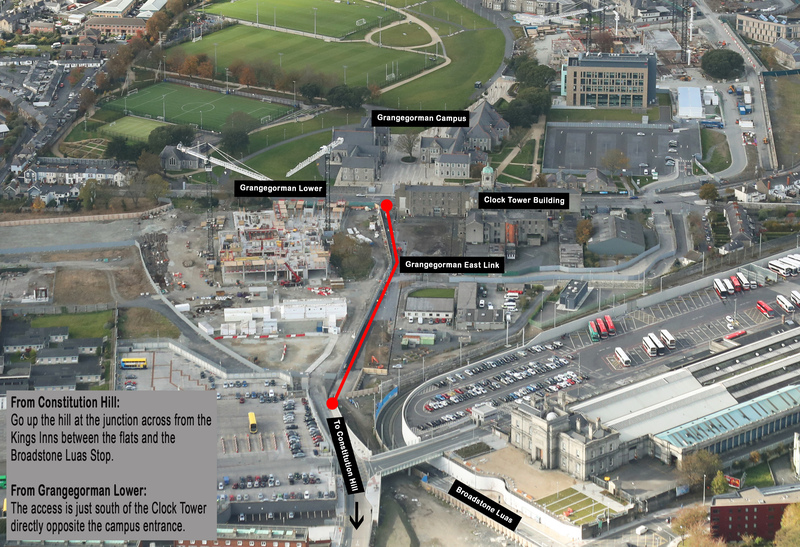 The access points to the new Grangegorman link are on Grangegorman Lower and just off Constitution Hill. See map below for the exact locations which are marked in red. Click on the image for a larger view.